With Trent Alexander-Arnold ruled out for a month, Jurgen Klopp will need to find an alternative solution at right-back for the upcoming Premier League games. 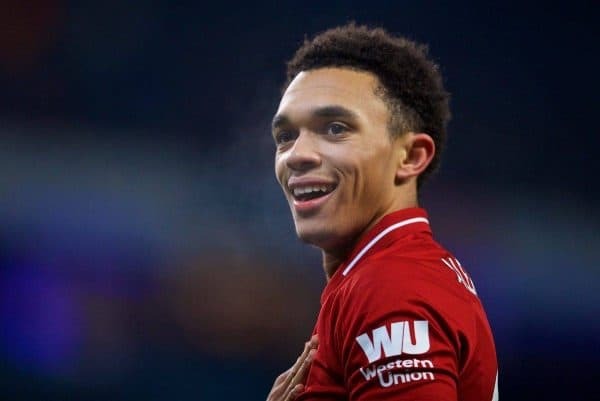 Alexander-Arnold’s knee injury was sustained during Liverpool’s 1-0 win against Brighton, as the 20-year-old played the full 90 minutes despite having picked up a knock in the warmup and looking uncomfortable throughout the first half. This latest blow has naturally brought attention to the decision to allow Nathaniel Clyne to join Bournemouth on loan earlier this month, leaving Klopp without a ‘natural’ standby solution in the right-back position. However, with fixture congestion easing given Liverpool’s early exits in both domestic cup competitions, Klopp has ample time to prepare his side for each upcoming game. At worst, Alexander-Arnold is expected to miss the next four league fixtures, with the Champions League last-16 first leg against Bayern Munich on February 19 earmarked for a potential return. Nonetheless, the ongoing need to keep up a relentless pace at the top of the table means there is little margin for error. And finding an effective solution to cover the right-back slot will be imperative in the coming weeks, with several possible options at the manager’s disposal. Perhaps the most likely solution for Klopp over the next few games will be to deploy James Milner at right-back, given his vast experience and renowned versatility. 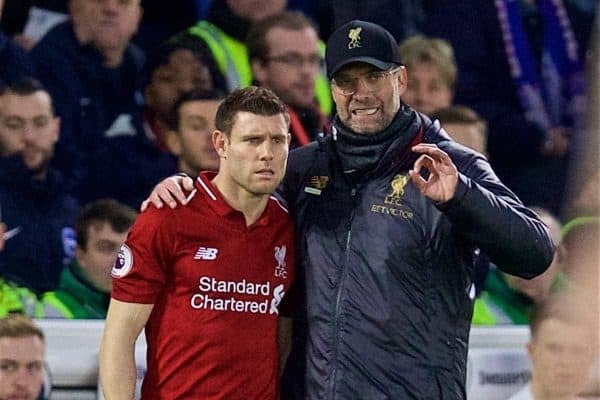 Klopp placed enormous trust in Milner’s positional intelligence and adaptability in the 2016/17 season when he selflessly played as an auxiliary left-back for the entirety of the campaign. He largely flourished in the role, offering an excellent balance of offensive and defensive qualities. 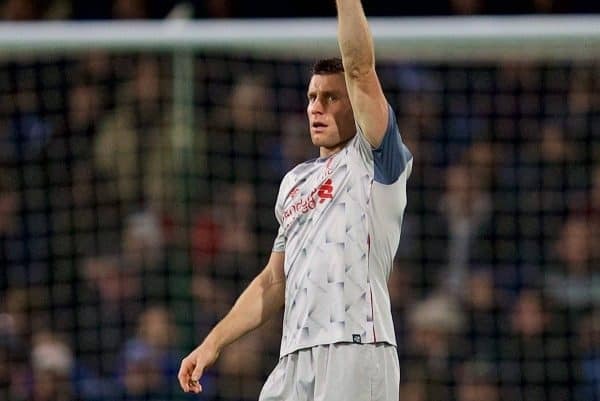 While it was slightly unorthodox as a naturally right-footed midfielder, Milner played the position in his own effective way, regularly showcasing his intelligent use of the ball—often playing incisive diagonal passes infield—while also having the tactical nous to fulfil the defensive demands of the role. 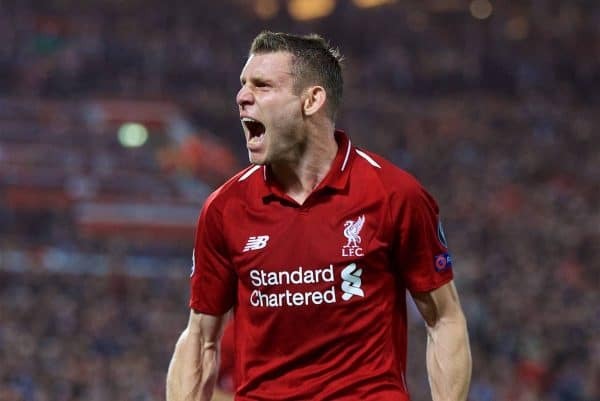 Milner picked up three assists and was one of the highest performing full-backs in England, as Liverpool secured a top-four finish on the final day of the season, starting 36 matches in the league at left-back. While Andy Robertson’s emergence has freed Milner up to play regularly in midfield again under Klopp, the manager has shown his continued faith in the 33-year-old to drop in at right-back on a couple of occasions already this season to good effect. Indeed, Milner’s two showings at right-back this term came in impressive away victories against Bournemouth and Wolves. In those, he stepped into a relatively unfamiliar role with aplomb, constantly showing for the ball out wide and helping Liverpool retain possession as they controlled both encounters. While Milner lacks the speed and athleticism of Alexander-Arnold, he does offer some of the same qualities in terms of intelligent use of the ball and the ability to link up with the attack through slick passing triangles. Given three of Liverpool’s upcoming league games are at Anfield—all against non-‘top six’ opposition—the likelihood is that they will have the vast majority of possession, these types of games especially require both full-backs to recycle it well and create chances where possible. By contrast, a common criticism of Clyne was that despite his undoubted defensive assurance, he lacked the necessary guile and composure in the final third, which has also been a limitation of Joe Gomez at times when operating at right-back. Milner, given his many years playing in midfield and his experience at left-back, can certainly offer more in terms of ball retention and attacking linkup play. 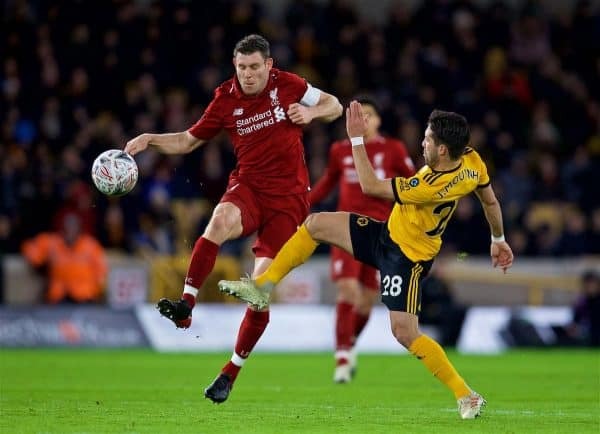 And tellingly, Klopp did select Milner at right-back ahead of Clyne in the win against Wolves, which perhaps suggests that the vice-captain might have been the manager’s go-to solution, even if Clyne were still available. Utilising Fabinho in His Brazil Role? While Fabinho’s rise in recent months has seen him bring a new dynamic to Liverpool’s midfield in terms of his ability to break up play, drive forward on the ball and pick out incisive vertical passes, the former Monaco man originally learned his trade at right-back. It was the position in which he first broke through and drew attention in France, marauding up the right wing and catching the eye of several major European clubs as one of the most exciting emerging full-backs on the continent, before later transitioning into midfield. Fabinho has demonstrated his superb understanding of the game in recent displays at centre-back for Liverpool in the absence of Gomez, Dejan Lovren and Joel Matip, performing as though he’d been playing the role for years, as opposed to only a couple of games. To slot so seamlessly into the back four was evidence of Fabinho’s versatility, which has seen him become such an important figure for Klopp as the season has progressed, following his gradual integration into the team. 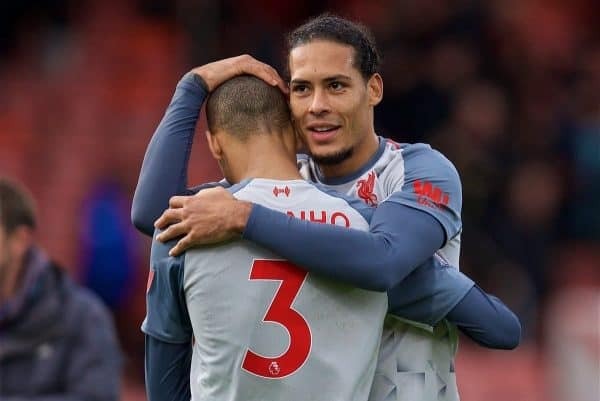 The Brazilian does still regularly play at right-back for his national team, of course, and is therefore well-versed in the demands of the role, perhaps more so than any other player in the Liverpool squad. 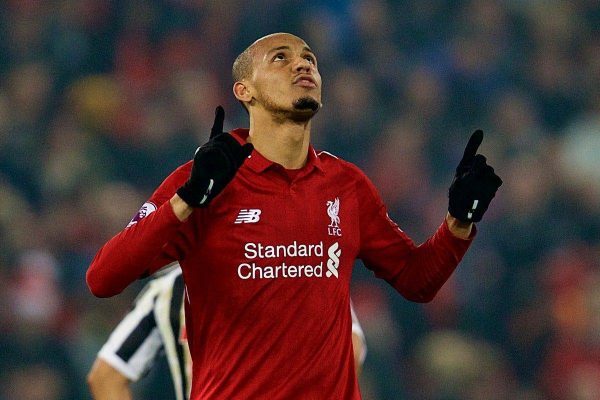 While he certainly represents another viable option for Klopp at right-back and could be entrusted to fill in with few problems, such is his contribution in other areas of the pitch that Klopp may feel Fabinho’s value remains best utilised in midfield for now. This is especially pertinent with Gini Wijnaldum a minor injury doubt against Crystal Palace. 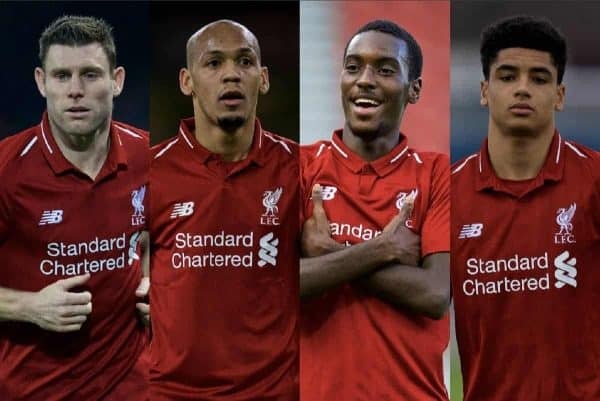 Aside from the player’s own request to move elsewhere for more regular game time, part of the reason Klopp cited for granting Clyne’s loan move was his confidence in several emerging youth players who can also step in if needed. 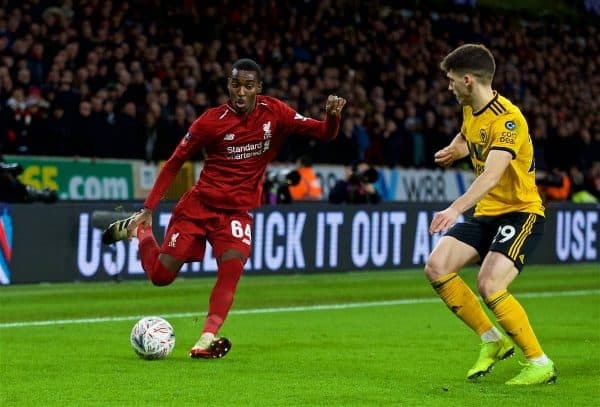 Rafa Camacho, who made his debut at right-back as part of a much-changed side in the FA Cup defeat against Wolves, was also named on the bench for Liverpool’s latest trip to Brighton, and scored on Monday night for the U23s while playing up front. The 18-year-old had been close to joining Sporting CP on loan earlier this month, but Klopp decided not to sanction the deal as he felt Camacho could be needed in the remaining weeks and months of the season as part of his first-team squad. It’s a decision reflective of how highly Klopp regards the Portuguese youngster who, while still raw and developing, is an exciting attacking prospect at full-back. And he could yet pick up his first minutes of Premier League action this season—even though Klopp will not want to have to call on him as a regular just yet. 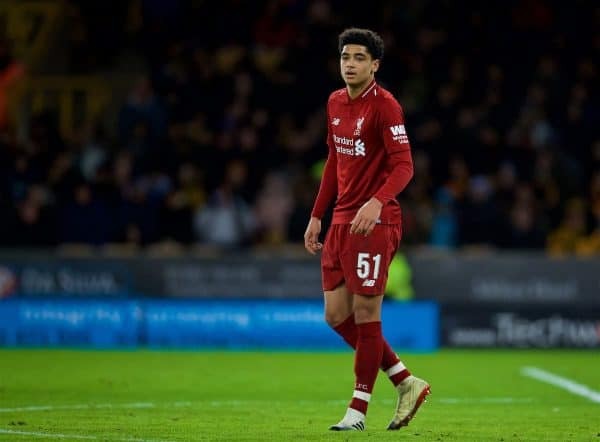 Similarly, Ki-Jana Hoever has been in the limelight of late, also making his debut against Wolves, and coping admirably in difficult circumstances as he stepped in at centre-back following Lovren’s early injury. The Dutchman was sent off for the U23s on Monday night, and at 16 years of age is unlikely to feature too heavily as part of the senior squad on matchdays for the time being. But his versatility in being able to operate across the back four has been a prominent feature of his impressive rise for the academy this season. Although it would take a very serious injury crisis for either Camacho or Hoever to be called upon to fill in at right-back any time soon, both are highly promising prospects who we can expect to feature increasingly in the future. For now, Klopp is most likely to call upon the services of Milner—and perhaps Gomez, once he returns to fitness—to get him through the next block of games until Alexander-Arnold’s return. And while the situation is far from ideal, it need not be cause for panic. It’s a position where Liverpool do, fortunately, have enough viable alternatives to be able to sufficiently cover for his absence.